The first Saturday of each month is dedicated to expanding the trails at the Patricia Ann Byrom Forest Preserve. 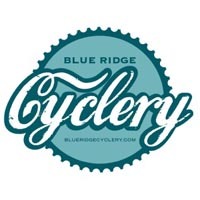 Albemarle County has invited us to participate in building singletrack in the 600 acre park. The park is currently open to the public, and has 5-6 miles of trail ready for use by hikers, mountain bikers, and equestrians. 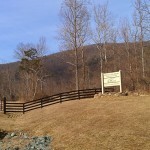 The trails are extremely steep, and following the Little Flat Mountain Loop will take you to the Shenandoah National Park Boundary. 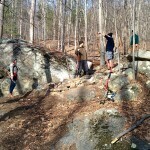 Nate Lopez, an employee of Albemarle Parks & Rec has been constructing beautiful rock switchbacks to wind the newest section of singletrack down through massive rock formations. Nate (working with Scud and others) was also responsible for the new switchbacks constructed at Walnut Creek Park last summer. 30+ volunteers from APO, a UVA service fraternity, have also been regular trail work volunteers over the past year at Byrom. In speaking with the students, many of them have a distinct love for the park, and love building trail. 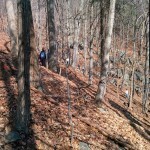 APO volunteers packing tools back down the trail. Nate finalizing construction of a rock bridge over one of the creek crossings. 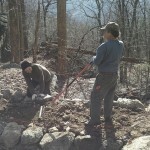 The past few months have been focused on cutting singletrack off the main trail, and working up through a rocky ridge. 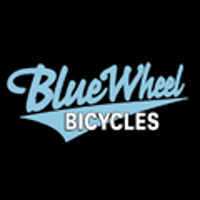 The trail is steep, and proper bench cuts and grade reversals are required on nearly every trail surface. 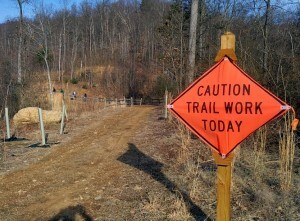 Because of the steep topography, mechanized trailwork is out of the question. 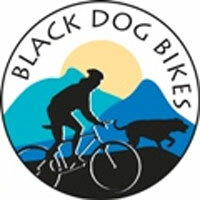 That means the more volunteers that help at Byrom, the faster we have big mountain style riding in our backyards. If you’d like to volunteer, watch for the emails announcing regularly scheduled workdays. We as a club can step up and organize additional workdays. If you are interested, please send an email to mtb@cambc.org, and we’ll help you coordinate. Once complete, Byrom is going to be an amazing place to ride. 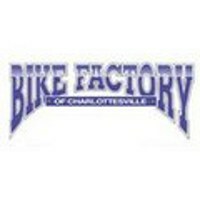 It is different than anything else in the Charlottesville area with long steep climbs, fast ridgeline decents, and mountain views. Much of the park is still a blank slate, so it is an excellent opportunity for us to help design the trails we want to ride.